It’s that time again where I talk about my monthly favourites. However, was it just me or did April simply fly by?! 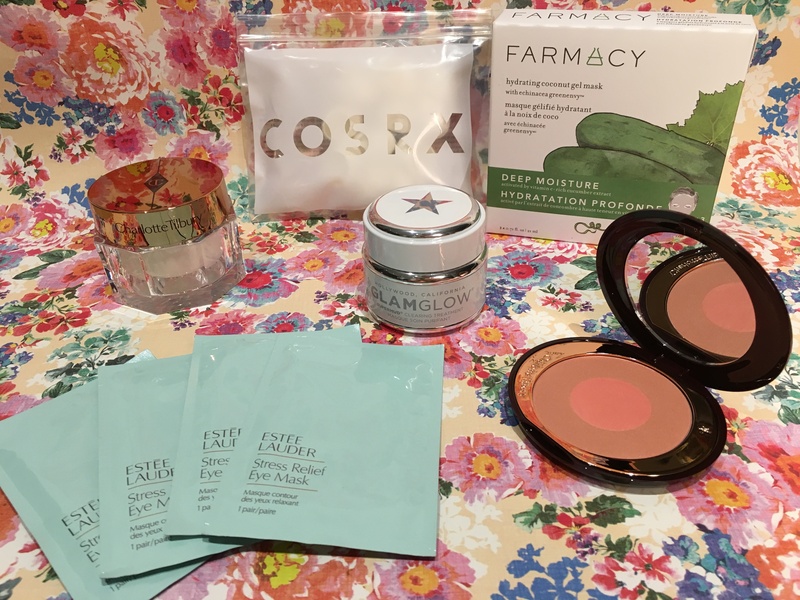 During April I returned to some of my old trusty favourites and ended up having to splurge in one go as all my essential items ran out at the same time. Always the way! 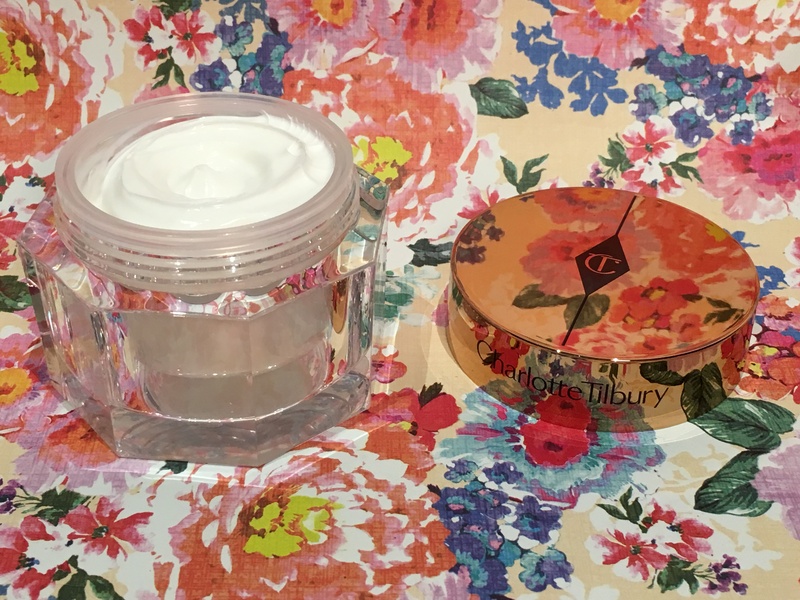 First up is of course the Charlotte Tilbury Magic Cream. This product is incredibly pricey retailing at £70 however this product works wonders and is worth every penny. It’s a moisturising cream which is light on the skin and provides a dew of youth and luminosity. Massaging this into the skin with a circular motion will warm the product and enable it to sink deeply into the skin, defining contours and smoothing out the skin. It’s an excellent make up base or you can wear it alone. I always find that this product wakes up my skin and gives me a healthy glow. It’s also my go to item for when I go to the gym. Going completely bare faced is slightly daunting for some however this provides you with enough coverage whilst still being make up free. 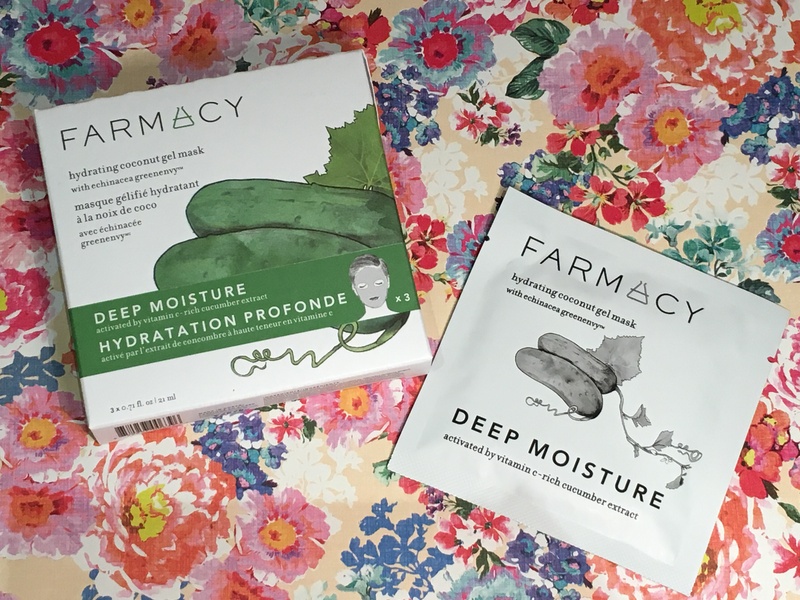 If you have dry parched skin then you really have to try the Farmacy Deep Moisture Sheet Masks. These are deeply hydrating coconut gel masks that are enriched with vitamin c and cucumber extract. As I always say, pop sheet masks in the fridge to enhance the sensation and the benefits when you apply them to your skin. The masks will leave your skin feeling plumper, super hydrated and smoother. A pack of 3 retails at £21. 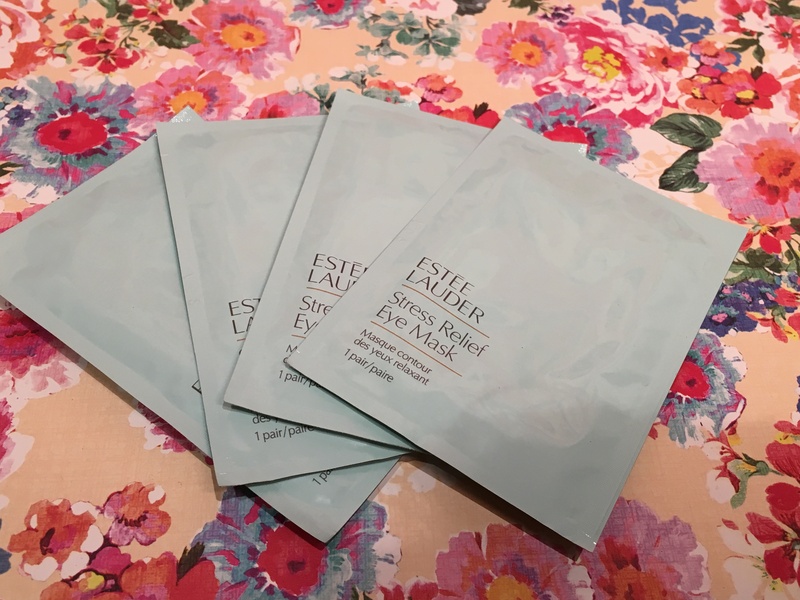 I’ve also been reaching for the Estee Lauder Stress Relief Eye Masks. These are great when you want to focus solely on moisturising your under eye. Being exposed to city pollution, the underground and office air conditioning, not to mention long hours working in the office, takes its toll on your skin particularly the under eye where skin is thinner and more prone to the signs of ageing. These little tear drop masks are excellent to soothe the under eye leaving skin feeling hydrated, brighter and tighter. Dark circles are banished mainly due to the anti fatigue ingredients Aloe Vera and Cucumber extract. Again pop these in the fridge before application to wake up your skin. A pack of 10 retails at £29. When I first saw this next item I was very intrigued. As you know Korean skin care is becoming increasingly popular particularly within the UK. 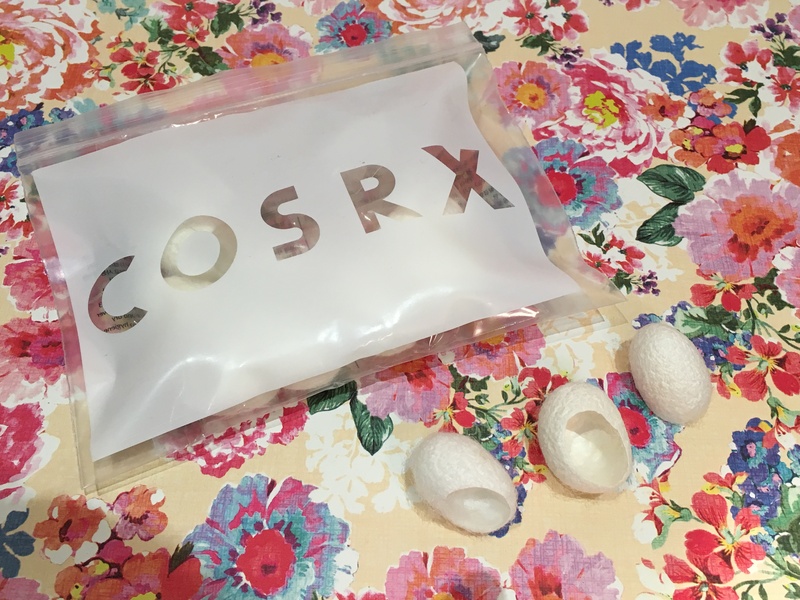 By the brand Cosrx, these are blackhead silk finger balls. They’re little hard cocoons that once wet turn soft. Pop one on your finger and exfoliate blackhead prone areas such as your nose and chin. I was rather sceptical however these leave your skin feeling incredibly smooth. I don’t have a lot of blackheads however I do have open pores and these tighten the skin leaving it looking refreshed, smoother and glowing. You can use each cocoon several times before you have to throw it away. I think they’re awesome! 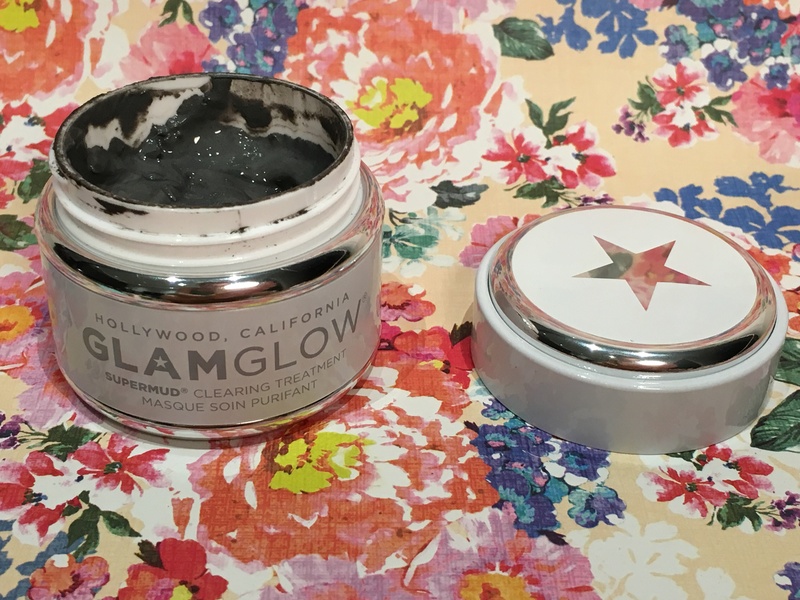 If you have oily congested skin, I would highly recommend the Glam Glow Super Mud Clearing Treatment. A 50g pot lasts for ages and retails at around £40 however there’s usually a discount code flying around for websites such as Look Fantastic or Feel Unique. This is an innovative mask which fights common skin problems such as blemishes and breakouts, whilst absorbing excess oil from the skin. When the product starts to dry, you feel a tingly sensation which unfortunately would be too harsh for those of you with sensitive skin. After one use you will notice results straight away. Skin will be clearer, tighter, pores refined and your skin will be glowing. It gives you a gorgeous rosie healthy glow once removed. 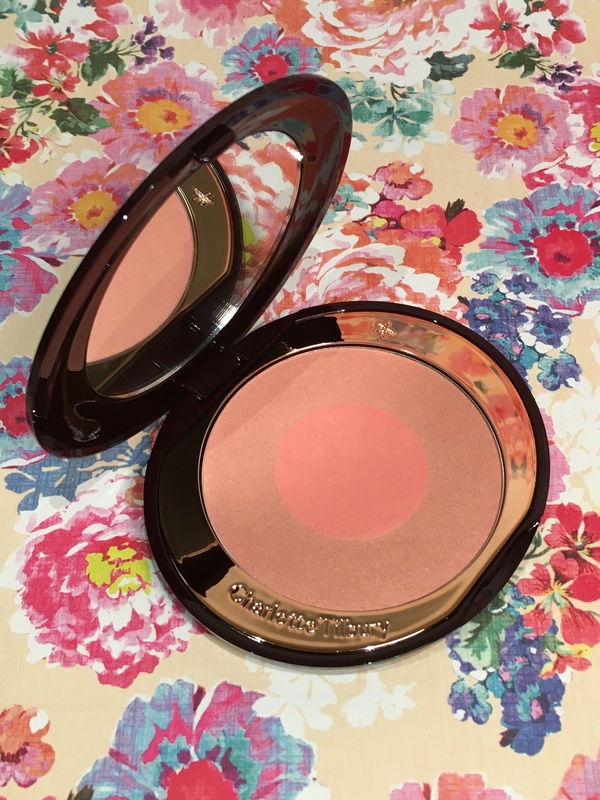 My final item is the Charlotte Tilbury Cheek to Chic blush in the colour Ecstasy. Retailing at £30, this item lasts for such a long time. I used my last blush for 8 months every day so this is most definitely value for money. This blush is innovative as you can swirl the outer edge and pop the middle to give a healthy peachy glow. The product is easily buildable for an even pop of colour, and has light flex technology to provide a luminous complexion. Let me know what items you were loving this month and if you have tried any of the above items, let me know in the comments section below. The finger balls are very odd but so good. You can get them on Cult Beauty.